Do you know how your school district will be affected if Prop. 100 - the temporary one percent sales tax - passes or fails? Now you can find out. In order to show the direct impact of potential cuts to school districts if Prop. 100 fails, Governor Brewer's Office recently released a report that provides a district-by-district estimate of the impact of legislative budget cuts on Arizona school districts for the 2010-11 school year. The report shows both the cuts that will occur if Prop. 100 passes and the estimates of additional cuts for each school district if Prop. 100 fails on May 18. If Prop. 100 fails, traditional public schools can expect a total funding cut of $748,775,148. Public charter schools can expect a $63,663,047 total funding cut. To find out how your school district or public charter may be impacted, click here. Proposition 100: The TEMPORARY 1% Sales Tax Increase - Your Questions Answered! Learn More -- Find a Budget and/or Prop. 100 Forum near YOU! 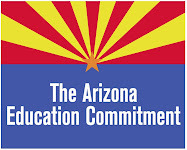 The Arizona Education Network and other parent organizations are sponsoring or speaking at several upcoming public forums about the state of education funding and the local impact of Prop. 100. Please take a moment to find a forum near you! If you do not see a forum in your community and would like our help to organize one, please send us an email at outreach@arizonaeducationnetwork.com. If you would like AEN to list your school and/or organization's budget and/or Prop. 100 forum on our next newsletter and our website, please email the information to jen@arizonaeducationnetwork.com. Tuesday, April 6, 6:30 to 8 p.m.
Wednesday April 7, 6 - 7:30 p.m.
Sunday, April 11, 6:30 p.m.
Tuesday, April 13, 7 p.m.
Thursday, April 15, 6 p.m. - 7 p.m.
Tuesday, April 20, 6 p.m. - 8 p.m.
Are you interested in becoming a member of your school board? The Arizona School Board Association is sponsoring two informational webinars, covering what it takes to run for and serve on an Arizona school board. Saturday, April 17, 10 - 11 a.m.
Wednesday, May 12, 6 - 7 p.m.
To reserve your virtual seat for this informative event, visit www.azsba.org and click the "Running for School Board Webinar" link. Serving on a school board is one of the most challenging and rewarding jobs you'll ever undertake. If you're considering a run for your school board, you want to take advantage of this opportunity! The Arizona Education Network Needs YOUR Help! Last week, we sent out a fundraising appeal to help us pay for upcoming outreach events and operating expenses. Since then, we've received over $1,500. Thank you to all who contributed to this generous start! We still have a way to go to reach our goal of $25,000. All contributions are greatly appreciated. If you have already contributed, thank you! Because we are a 501 (c)(4) non-profit organization, contributions are not tax-deductible. Interested in having the Arizona Education Network speak at your school or community group?